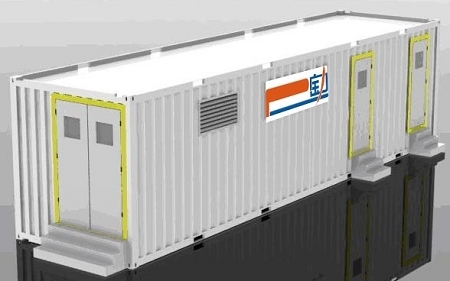 The energy storage system is essentially a straightforward plug-and-play system which consists of a lithium LiFePO4 battery pack, a lithium solar charge controller, and an inverter for the voltage requested. Price for 1MWH Storage Bank is $759,650 each plus freight shipping from China. To discuss specifications, pricing, and options, please call Carl at (801) 566-5678. Each container with all of the equipment will weigh less than 16 tons. Fully tested before being shipped. Factory will provide free installation support and after sales service. Production time is 4-6 weeks. Estimated delivery time to job site is 10 weeks via Ocean and Truck transport. 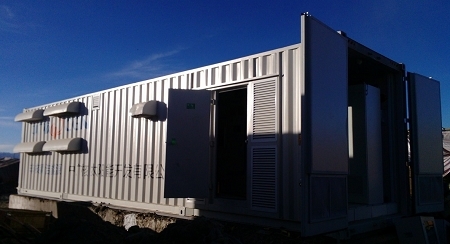 One of the largest energy storage battery systems available! Note: Voltage can be adjusted based on your needs. Energetech's factories can produce almost any sized Energy Storage System for Peak Shaving or continuous duty usage.